The quirky Angie Dee, a rookie real estate agent, has been sent to sell her first home. The property is a split level home on Usher Street. Unfortunately, the property was abandoned by its owners in the 1970s and the agent must find out why before a contract can be signed. Help Angie explore the house, solve puzzles, and clean up bugs and cobwebs to discover the mysterious secret about the property. 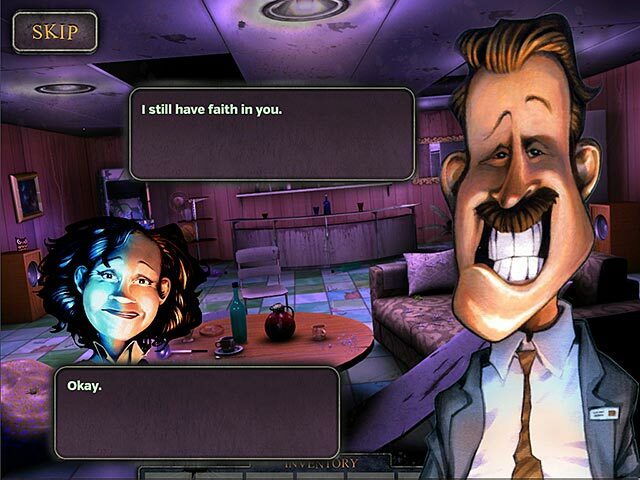 Inspired by Edgar Allan Poe, The House on Usher is a light-hearted hidden object adventure that will keep you giggling all the way to the climatic ending. The House on Usher is rated 2.0 out of 5 by 44. Rated 4 out of 5 by ROCKIN40 from HAS ANYONE PLAYED TO THE END? I agree with every review on this game. But I'm not a quitter and am trying to reach the end of the game. But I actually have 3 playing options to choose from and I'm playing on the easiest "more easier" difficulty level. Also you can actually click a whole bunch of times before the screen darkens for a couple of seconds = you lose money. I have found every bug and cobweb and some other creepy things which got me extra bonus money in each accessible rooms and mirrors. I completed all the extra rooms I could find. Now I'm stuck with a few inventory items I can't find a place to use them. I can not access the walk-in closet off of the master bedroom, the pointer arrow is still green on the map. And there is a un-named room on the north west corner of the house that I can't figure out how to access. So has anyone played to the end of this game? Do I get to sell the house? Do I find out what's haunting it? Or is this just the end??? I am enjoying this game. I like the funny things they say and I like the not so direct clues, even though they are persistent and you have to remember if you already completed them or not. I will check out the help pages on this game, so I can finish it, then review again. Rated 4 out of 5 by Dano312 from From buggy and cobweb-ed to very playable This review is for the new Updated version that is much more playable. Reviewers were correct. When I first bought this game it was full of bugs and spiderwebs (for game play too). Items were near impossible to find and it was creepy dark. The game got a small makeover and is quite fun to play now. You play a realtor touring a home for evaluation, getting it ready for selling. Rather than your standard dilapidated house that gets repairs in order to get it sold, you only need to clean it from bugs and webs etc. This is only a minor part in the game. The real task is to find/earn objects by various means, for which to use in your moving along, advancing to other sections of the home. Too, you must uncover the underlying reason for strange eerie things happening throughout the residence. Pretty straightforward. The game is just a tad short, but first time through you will need to find out what each collected item is used for. I will play it again. Rated 4 out of 5 by sartasia from Creative first effort. Swimming against the tide here I suppose. I found this game quite a refreshing change from the mind numbingly simple H0S that the genre has devolved into. The clues were imaginative and humorous. The story line was light and off center with clues subtly given. I do agree that some lighter scenes were needed a few times. And being able to move directionally would have been preferable to clicking an arrow. Some of the insects were beyond me to find but that is part of what made this enjoyable to me...the challenge. Something that doesn't occur with much frequency anymore. The game was short and I did find the ending a tad abrupt. But that being said... Kudos to the devs for attempting something fresh. Good first try!! I look forward to the next offering. Try before you buy. Rated 4 out of 5 by GEmory from Nice game Rare time that I disagree with the majority. I like this game and find it a nice change from the dark games usually offered. The items are small, but so far I've found everything but one cleaning item on the garage tool board. I've been through the downstairs and the upstairs bedroom and bathroom and haven't had any glitches or problems figuring out what to do. Rated 4 out of 5 by _Cinder1 from Not the Usual ! Breath of fresh air ... a little bit of everything and good enough to keep my interest for more than a few minutes!!! Rated 4 out of 5 by pennmom36 from Don't Give Up On This Game Too Soon I barely made it through the first tutorial (still got a tutorial in hard mode) on the first scene. How dreadful and archaic is this game? But I kept playing, just to be fair, getting to know the mechanics of the game. What I discovered was a game with a bit of a challenge and some interesting concepts, so don't give up on the game too quickly, you may be surprised as well. You play the newest realtor, Angie Dee, and your boss, Homer Echers, has given you a practically condemned house to sell. You must rid the house of bugs and cobwebs as you search the house for useful items. Each scene will have an icon with a duster at the top of your screen which indicates the number of cobwebs and spiders that need removed. 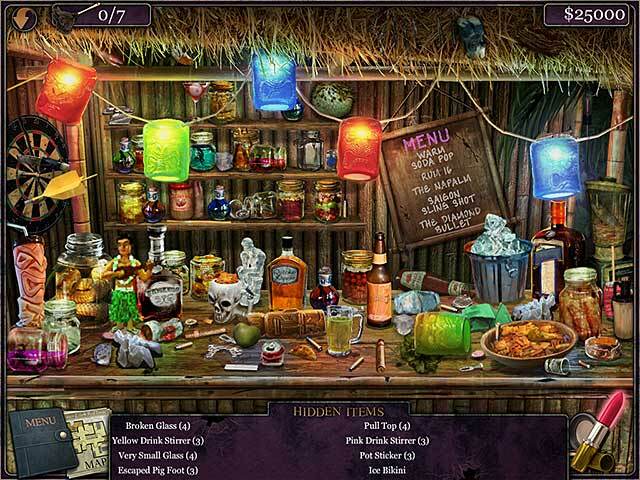 There are items to clean in the Hidden Object Scenes as well. Each item you clean, makes the value of the house rise as shown on the top right of the screen. There are inventory items to pick up and when you come to an area that requires the use of that inventory item, you need to click and drag the item to the scene rather than the normal click on inventory item click on correct scene. When you come across mirrors, you need to assess your feelings and give yourself a pep talk, and clean away bugs and cobwebs. I will admit that I cannot find the last item to clean on the mirror to save my life. 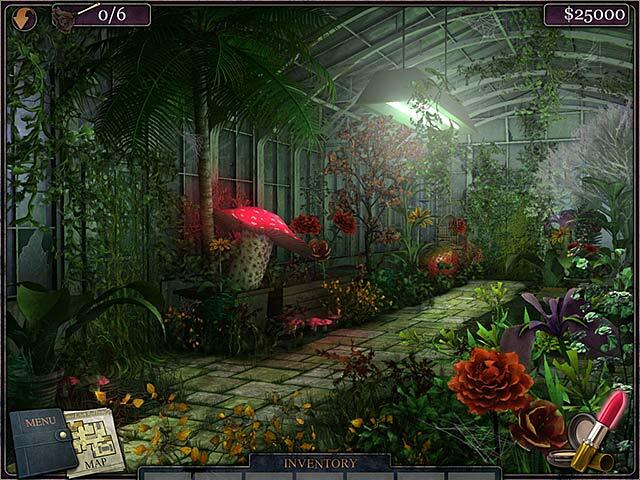 The Hidden Object Scenes aren't very well done, some of the items are very difficult to find, the scenes tend to be blurry and many items are difficult to recognize. There are more than one item of what you are looking for, such as a glass of warm milk, even though a glass of milk is clearly sitting in the middle of the scene, it is actually the one on the window sill you need. I considered these HOS as a challenge, also items you find will first turn yellow and won't disappear until the next item is found. There are mini games as well such as trying to figure out the answer to a question given. There are blank boxes that require you to drag available letters from a box, onto the blank spaces, if the letter turns red, it's correct. I'm sure you won't be thrilled with the graphics, the story is cute and the game does have entertainment value. I have to wonder why this game wasn't released as a Halloween game, which would have been a perfect fit. It starts out very weak, but it's not meant to rub elbows with the big boys. Give this game a chance and challenge yourself to find those eency weency spiders and webs, enjoy! Rated 3 out of 5 by Bonnie241 from messy house messy game but fun this could be a really good game if it wasn't for the confusion. It is not very user friendly. I wish they would re-invent this game because it is different from most of the boring HO games. I gave it high marks because it is different. I think others will really like it if they can figure it out. I am too new at HO games. Rated 3 out of 5 by bassetfred from Original but hard Original game, with nice ideas. Funny cartoony style. Overall way too hard to find things though. And even when you've found everything in a scene, it doesn't automatically back out, you have to click extra. Rated 3 out of 5 by elizmiclette from I am officially stuck! Everything that every other gamer says about this game is entirely true! I am continuing play because I HAVE to see how it ends. The game itself is hard, the objects, bugs, cobwebs are hard to see at times. Also, the hint button really isn't much help either. I am at the point of a maze and I have no clue at all, what I am supposed to do. I will look for some type of help online but, you really shouldn't have to do that. If you're up for something time consuming and frustrating, this is the game for you! Real estate agent Angie Dee must get her first home ready for sale. 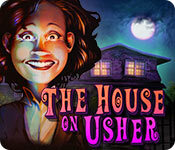 Explore, solve puzzles and clean cobwebs to unravel the house’s mystery in this amusing adventure.